Cash Reconciliation for each individual POS Terminal provides excellent cash management and monthly summary reporting of any discrepancies. Real time updating of all reports for instant business analysis. Complete Electronic Journal of every transaction made at the POS Terminals including voids and error corrections made during the sale. Search for any individual POS transaction by Receipt number, Terminal number, Inventory item, PLU, Table number, Member, Clerk, Payment method or Account Number. Create reporting time periods to suit your business with reports on sales, average sale per customer and customer counts to assist with staffing levels in different locations. Links with Security Cameras for fraud prevention. 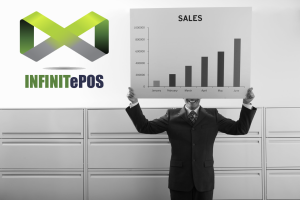 Track the number of sales, no-sales, cancelled sales and credit sales (Voids) that have been done by each operator with complete detail if required. Tracks sales by any price level (including discount price levels) so that any reduced margins can be analysed. Any business that takes cash has a potential theft problem and the best prevention is a back office POS management system like SwiftPOS that gives you very tight control over all the financial transactions that are made at the Point of Sale. View sales performance in real time against previous week’s history. View sales performance remotely via the Internet with our fully integrated web based reporting.